Hello there! I hope you have had a great week or so, what with Halloween and Bonfire Night – it’s been a busy one around here 🙂 Today I have 2 birthday cards which will be for my sister’s sister-in-law’s twin daughters! This set is another cute Lawn Fawn set called ‘Critter’s in the Forest’. 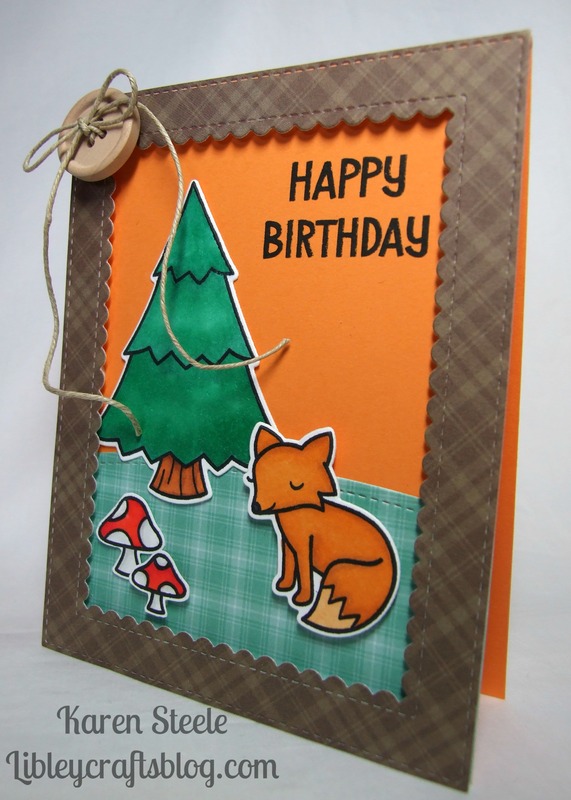 I also used the following: Lawn Fawn ‘Critter’s in the Forest’ dies, Lawn Fawn Forest Border Die, all paper’s by Lawn Fawn – Let’s Polka in the Dark and Perfectly Plaid Fall. Frantic Stamper Stitched Hillside Border Dies, Lawn Fawn Speech bubble Die, Mama Elephant Park Avenue Frame Die, Spectrum Noirs, twine and buttons from stash. Also, Tuxedo Black Memento inkpad. The greeting here is from another Lawn Fawn set called ‘Year Two’. 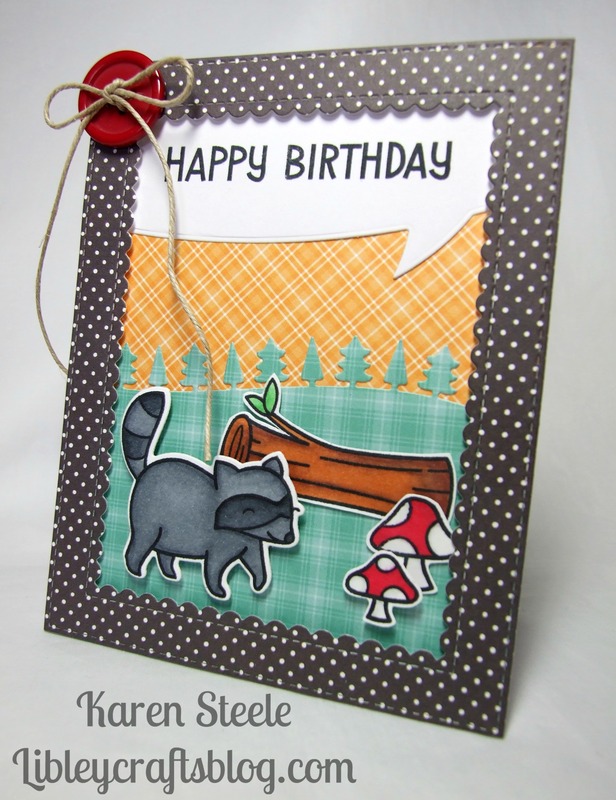 Love all the sweet critters from Lawn Fawn, Karen! Cute scenes with wonderful frames and buttons! Your sis-in-law’s twins will love these cards I’m sure!! Oh these are SUPER cute, Karen!!! 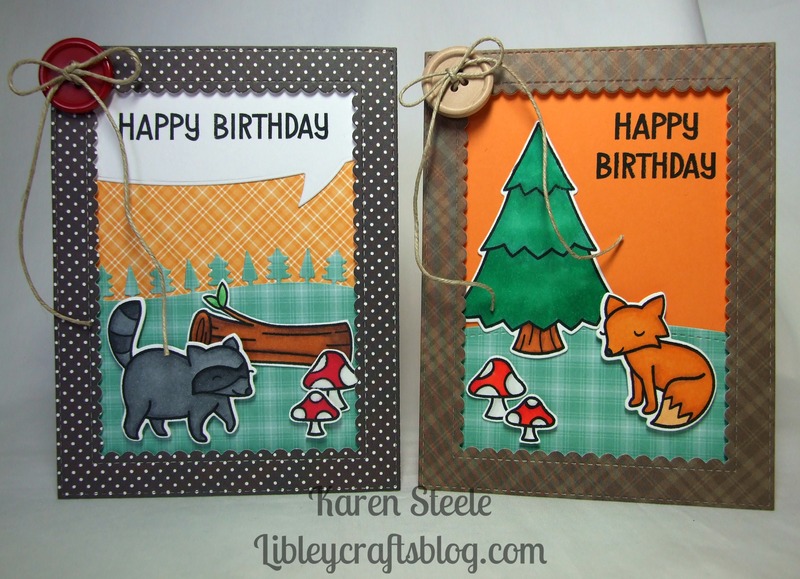 Love the bright, fun colors and those critters are too cute! Fabulous cards!!! I love the seasonal colours and images, and that they are something a little different. Also I notice how they are “fair”, with the same numbers of images, similar style and embellishments. The things we do to keep the peace! Super job. They’re similar and yet so different at the same time. I like how you framed these scenes of nature, clever use of patterns and sweet images! These will be a hit!